It will be 50 years to the day tomorrow when President John F. Kennedy was assassinated. Take some time to glance at the bulletin board plastered with front pages of The New York Times from the year leading up to his death. JFK accomplished a great deal during his short time in office. 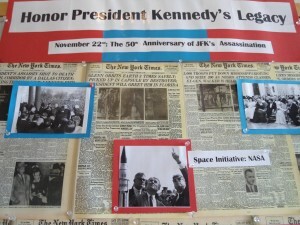 Take a look at the Kennedy Library’s excellent website with film footage and archival pictures from that time. 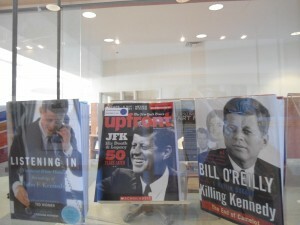 Better yet, spend a day at the Kennedy Library in Boston. Pick up a museum pass today!